If you're reading Inhabitots, then it's likely you're on board with a holiday that doesn't include toxic, unsafe toys. However, maybe you're not sure which toys are the most eco-friendly, non-toxic, safe and still fun. Not only is there a ton of toy greenwashing out there, but just because a toy is green, doesn't make it an appropriate toy for your particular child. There's a lot to consider. Luckily we've got some tips about you can keep this, and every holiday safe, fun and eco-friendly. Image by danzo08 via sxc. What’s green and safe to one is not so green or safe to another. For example, some green parents would never buy the Legos shown above due to plastics and non-green Lego company practices. 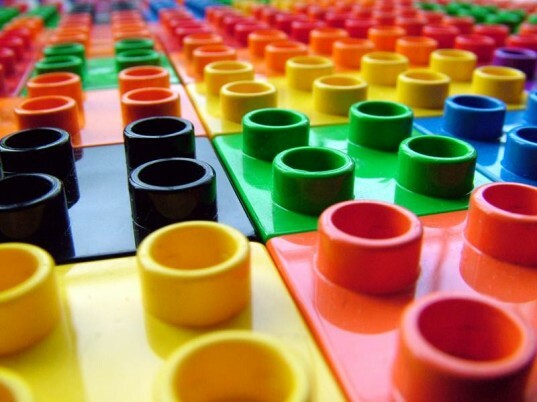 However, some green parents do like Legos due to their reuse value. These are issues to think about. You really need to develop your own eco-toy criteria, which can help you make safe green choices all season long. For example, if you buy a stuffed animal do you want it to be made with 100% organic cotton or is recycled conventional cotton good enough? FTC certified wood may be optimal, but then again, any hard wood may be better than toxic plywood. Is lead-free important to you? How about non-toxic paints, recycled packaging and green company ethics? Will you purchase toys made only in the USA or are you okay with ethical, but out of country companies? It’s best to decide up front how much all these issues matter to you. Make a short list then stick to it as you shop, so you can feel good about your purchases. If you’re not sure how to start searching for less toxic toys, then visit HealthyStuff.org. They offer test results for over 8,300 products, many of them toys. The test data reflects over 20,000 individual samples of different product components and chemical compositions, and HealthyStuff.org applies a toy safety rating to each toy depending on their findings. This is a great way to find out if that block set your child wants contains cadmium, chlorine, lead, arsenic, bromine or mercury and, if so, can help you choose safer toys. You also may want to check out the annual “10 Worst Toys” List by W.A.T.C.H. 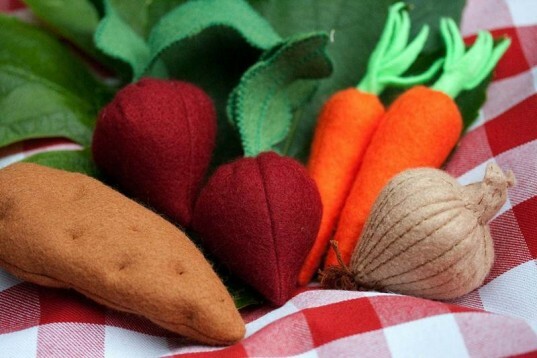 Local and handmade toys are a great green choice during the holiday season. When you buy local you not only support local families and local economy but you skip shipping emissions too. Other perks of locally owned toy stores include a wider, more unique variety of toys. Plus, usually greener toys, such as organic, recycled, wooden, electronic-free and other healthy toys reign supreme at local shops. You get to see toys before you buy and you can talk directly to passionate toy store staff. Lastly, returns to local shops are much easier (and also produce fewer emissions) than returning toys to an online shop. If you do buy online, try to visit smaller, personalized green shops that offset shipping emissions. Giant toy manufacturers and retailers spend a lot of money trying to get you to buy their toys, yet, many of the large toy companies also pay workers in other countries much less than a living wage, in horrid working conditions, to create said toys. In many cases children from other countries are being forced to make the toys your child may play with – not a recipe for a very jolly holiday. The Toys of Misery via the Institute for Global Labour and Human Rights points out some of the problems of non-Fair-Trade companies. If you want to buy sweatshop-free toys, look to the National Green Pages to locate ethical companies. You can also visit Fair Trade Finder or download the Fair Trade Finder app. Image by vierdrie via sxc. Past research shows that one of the biggest mistakes parents make is not reading toy labels, thus giving an age-inappropriate toy to a young child. Each year over 180,000 children visit the hospital or ER due to toy related injuries and too many of kids’ injuries are related to children choking on toys, such as marbles, magnets and other small toys meant for older kids. Always read the label to make sure a toy is suitable for your child’s age and abilities. Especially if the toy is a gift – I can’t remember how many times non-parent friends of mine gave my son a toy that was way too old and inappropriate for him. Additionally, be sure to fill out every toy registration card. This may seem like a hassle, but if there’s a recall, and you filled out your card, the company should contact you. Just in case, a company fails to contact you though, this is the perfect time of year to sign up for free toy recall information via email. Used toys, consignment shops and thrift stores are awesome because they encourage reuse and green living practices. However, you do need to shop for used toys carefully. A 2003 report showed that as many as 63% of thrift stores, at the time, were selling hazardous items, items that failed current safety standards or recalled items. It’s officially against the law to sell a recalled product, toy or otherwise, but of course, some products slip through the cracks. To combat any unsafe used toys, check with CPSC or the toy manufacturer to make sure a thrift store toy hasn’t been recalled before you give the toy to a child. If you want an easier time choosing toys then plan for a less commercial, less excessive holiday. First of all, excess stuff is not eco-friendly. Second of all, kids don’t need piles of gifts to make the season merry. In fact, overspending on your kids may be detrimental to their well-being. In this country, we’re very good at excessive holidays. In 2011, consumers spent $816 million online alone on Black Friday, not counting what folks spent in stores, making it the heaviest shopping day of the year. According to ComScore, Cyber Monday 2011 was the biggest online spending day in history, with revenues of $1.25 billion in the U.S. The National Retail Federation says that the average American spent around $700+ on holiday shopping in 2011, and these figures regard individuals, not whole families. Additionally, Consumer Reports points out that about 14.1 million adults are carrying debt from the last holiday season. This is spending madness that needs to end. This season make it a point to celebrate family time and activity vs. gifts galore. 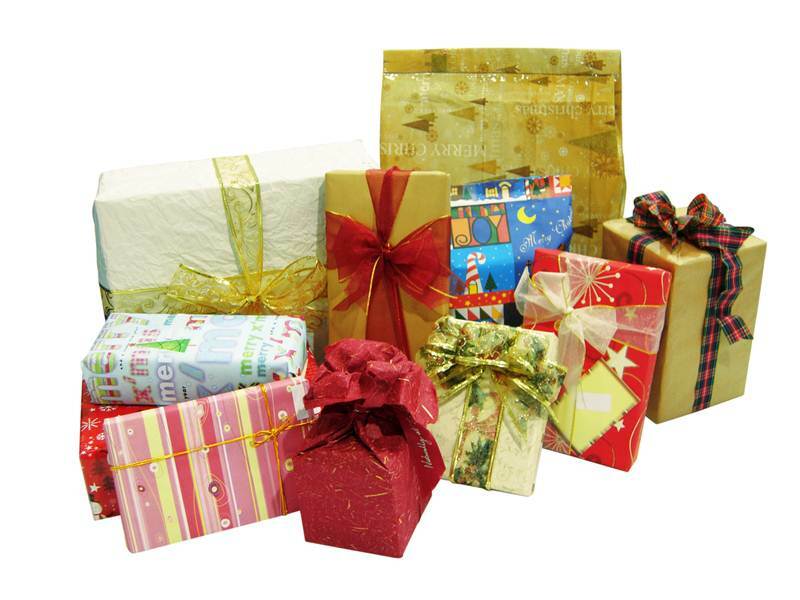 Sure buy your child a few green gifts, but don’t over-do it. It’s better to choose a few very special green gifts vs. a mountain of toys, especially when you’re dealing with eco-friendly toys, which often cost more than conventional toys. Research shows that many parents buy kids excess stuff to make up for time they don’t spend with them. Don’t do that this year. Plan fun winter activities like cookie baking and family game night to round out the season and make it special. Your kids don’t need a commercial holiday to have a good time and you don’t need the stress of all that debt. Lead image by zerobug via sxc. What's green and safe to one is not so green or safe to another. For example, some green parents would never buy the Legos shown above due to plastics and non-green Lego company practices. However, some green parents do like Legos due to their reuse value. These are issues to think about. You really need to develop your own eco-toy criteria, which can help you make safe green choices all season long. For example, if you buy a stuffed animal do you want it to be made with 100% organic cotton or is recycled conventional cotton good enough? FTC certified wood may be optimal, but then again, any hard wood may be better than toxic plywood. Is lead-free important to you? How about non-toxic paints, recycled packaging and green company ethics? Will you purchase toys made only in the USA or are you okay with ethical, but out of country companies? It's best to decide up front how much all these issues matter to you. Make a short list then stick to it as you shop, so you can feel good about your purchases. If you're not sure how to start searching for less toxic toys, then visit HealthyStuff.org. They offer test results for over 8,300 products, many of them toys. The test data reflects over 20,000 individual samples of different product components and chemical compositions, and HealthyStuff.org applies a toy safety rating to each toy depending on their findings. This is a great way to find out if that block set your child wants contains cadmium, chlorine, lead, arsenic, bromine or mercury and, if so, can help you choose safer toys. 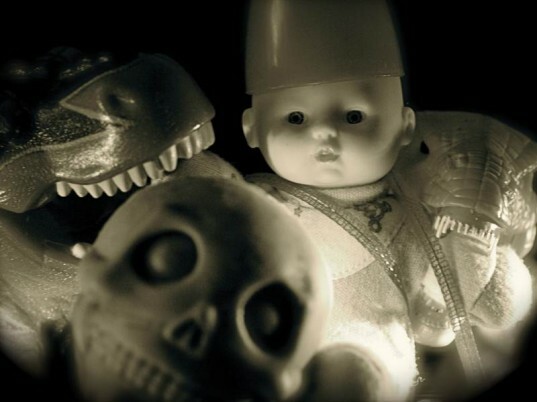 You also may want to check out the annual "10 Worst Toys" List by W.A.T.C.H. Giant toy manufacturers and retailers spend a lot of money trying to get you to buy their toys, yet, many of the large toy companies also pay workers in other countries much less than a living wage, in horrid working conditions, to create said toys. In many cases children from other countries are being forced to make the toys your child may play with - not a recipe for a very jolly holiday. The Toys of Misery via the Institute for Global Labour and Human Rights points out some of the problems of non-Fair-Trade companies. If you want to buy sweatshop-free toys, look to the National Green Pages to locate ethical companies. 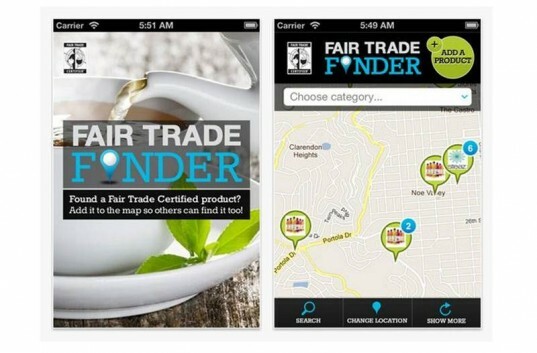 You can also visit Fair Trade Finder or download the Fair Trade Finder app. Past research shows that one of the biggest mistakes parents make is not reading toy labels, thus giving an age-inappropriate toy to a young child. 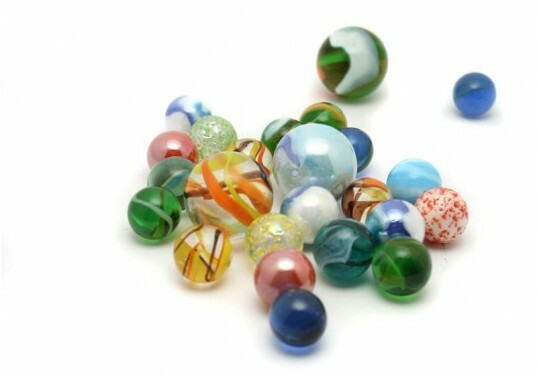 Each year over 180,000 children visit the hospital or ER due to toy related injuries and too many of kids' injuries are related to children choking on toys, such as marbles, magnets and other small toys meant for older kids. Always read the label to make sure a toy is suitable for your child's age and abilities. Especially if the toy is a gift - I can't remember how many times non-parent friends of mine gave my son a toy that was way too old and inappropriate for him. Additionally, be sure to fill out every toy registration card. This may seem like a hassle, but if there’s a recall, and you filled out your card, the company should contact you. Just in case, a company fails to contact you though, this is the perfect time of year to sign up for free toy recall information via email. Used toys, consignment shops and thrift stores are awesome because they encourage reuse and green living practices. However, you do need to shop for used toys carefully. 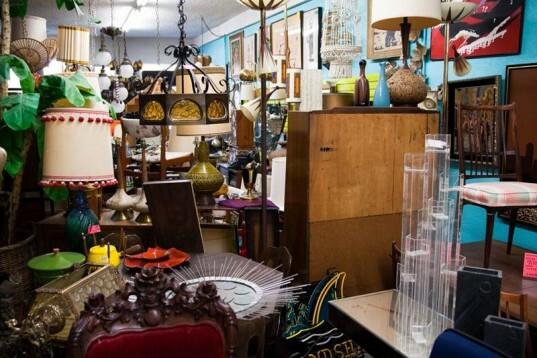 A 2003 report showed that as many as 63% of thrift stores, at the time, were selling hazardous items, items that failed current safety standards or recalled items. It's officially against the law to sell a recalled product, toy or otherwise, but of course, some products slip through the cracks. To combat any unsafe used toys, check with CPSC or the toy manufacturer to make sure a thrift store toy hasn’t been recalled before you give the toy to a child. If you want an easier time choosing toys then plan for a less commercial, less excessive holiday. First of all, excess stuff is not eco-friendly. 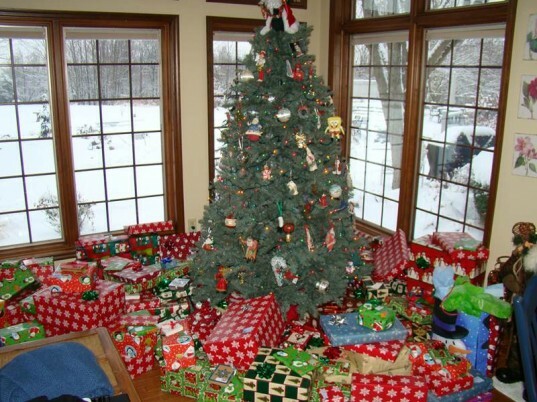 Second of all, kids don't need piles of gifts to make the season merry. In fact, overspending on your kids may be detrimental to their well-being. In this country, we're very good at excessive holidays. This year (2011) consumers spent a $816 million online alone on Black Friday, not counting what folks spent in stores, making it the heaviest shopping day of the year. According to ComScore, this year’s Cyber Monday was the biggest online spending day in history, with revenues of $1.25 billion in the U.S. The National Retail Federation says that the average American will spend around $700+ on holiday shopping in 2011, and these figures regard individuals, not whole families. Additionally, Consumer Reports points out that about 14.1 million adults are carrying debt from the last holiday season. This is spending madness that needs to end. This season make it a point to celebrate family time and activity vs. gifts galore. Sure buy your child a few green gifts, but don't over-do it. It's better to choose a few very special green gifts vs. a mountain of toys, especially when you're dealing with eco-friendly toys, which often cost more than conventional toys. Research shows that many parents buy kids excess stuff to make up for time they don't spend with them. Don't do that this year. Plan fun winter activities like cookie baking and family game night to round out the season and make it special. Your kids don't need a commercial holiday to have a good time and you don't need the stress of all that debt.